Amanda is a 28-year-old woman in good health and is getting married in a year’s time. She's never thought of herself as overweight but would like to lose an additional 10 pounds before her wedding day. She's 5'7" tall, weighs 128 pounds and has a waist circumference of 28cm. These measurements give a BMI of 20, and along with her waist circumference, means she is well within her healthy body weight range. Amanda does not follow an exercise or eating plan but is open to making the necessary changes to help her lose additional weight. She has always enjoyed a variety of foods and has been able to eat liberally without affecting her weight. She goes on the occasional walks with friends on weekends. Amanda schedules a session with a dietitian. The dietitian informs her that her current body weight is within a healthy range and that losing an additional 10 pounds would give her a BMI of 18.4, which is considered underweight. This low body weight puts Amanda at risk of nutritional deficiencies. The dietitian discusses in depth that focusing on a specific weight may not be the right goal and that body measurements may be a better focus for Amanda. The dietitian suggests Amanda seek out a personal trainer to provide a workout plan to help her tone and sculpt her body while maintaining a healthy body weight. 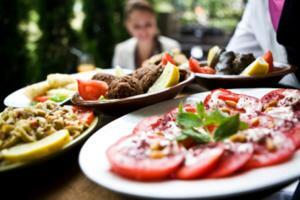 The dietitian provides tips to maximize her nutritional intake and support future workout plans. A pilates or yoga instructor would also be able to provide suggestions of exercise routines that help strengthen and sculpt her body for Amanda to look her best on her big day. 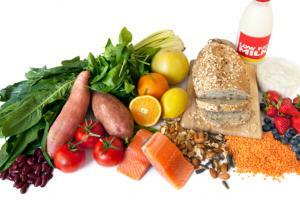 Diets and Weight LossSarah Ware, BSc (Hons), RD, CDE, discusses diets and weight loss. 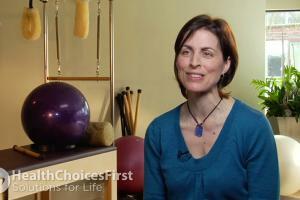 A Pilates instructor has achieved a certain level of certification and qualification to teach this fitness system. Pilates is a great tool to help you work on your core strength and flexibility, and can contribute to a weight loss program. Naturopathic medicine focuses on getting to the root of health problems rather than just treating symptoms. A Naturopathic Doctor can help you with advise on the right Vitamins if you are on a weight loss program. A registered dietitian (RD) has completed education and training to specialize in a wide variety of fields, including sport nutrition, gerontological nutrition, pediatric nutrition and renal nutrition. A registered dietitian can help you understand fats in relation to weight loss. A yoga instructor is an individual who has completed qualifications and certification. Yoga can be a beneficial practice in a weight loss program. A nutritionist is a health specialist who has completed training in areas such as food and nutrition science and preventative nutrition. 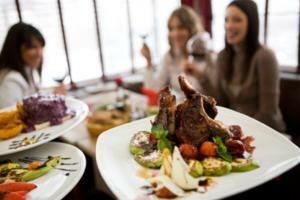 A nutritionist can help you better understand food choices when dining out. A personal trainer is a person who coaches others to achieve their fitness goals. A personal trainer can help teach you proper exercise techniques which can help with weight loss efforts. Conversation based on: Weight Loss and Maintaining a Healthy Body Mass Index " Amanda is a 28-year-old woman in good health "
Sleep apnea is a sleep disorder that causes a person's breathing to stop during sleep. Patients with sleep apnea can stop breathing up to hundreds of times a night, depriving the brain and body of oxygen.Types of Sleep Apnea Obstructive sleep apnea occurs when the throat muscles relax and block your airway, often causing snoring. Central sleep apnea is a condition that is a lot less common than obstructive sleep apnea. It occurs because your brain doesn't send the proper signals to the muscles that control breathing. The most common cause of both types of sleep apnea is being overweight or obese. Other causes of obstructive sleep apnea include hypothyroidism, excessive production of growth hormone, a deviated septum and allergies. Other causes of central sleep apnea include medications such as narcotic painkillers. Sleep Apnea Symptoms &amp; Treatment Sleep apnea symptoms include: • Loud snoring every night or almost every night • Fatigue during the day • Snorting or choking while sleeping • Shortness of breath Sleep apnea predisposes people to a variety of medical conditions. If you have sleep apnea, you're much more likely to have high blood pressure, diabetes, a heart attack, stroke or an irregular heart beat. It can also increase your risk of being involved in a car accident. Sleep apnea treatment options include: • Weight loss. Studies show that losing weight is an effective long-term treatment for patients with sleep apnea who are overweight or obese. • A CPAP machine, which blows pressure into your throat to prevent it from collapsing. • A dental device (also known as a mouthguard), which pulls the jaw forward and stops snoring. • Surgery to treat people who snore or have a blocked nose or nasal passage issues. If you undergo sleep apnea treatment, you may work with your physician, a sleep specialist, an otolaryngologist (ear, nose and throat doctor) and/or a CPAP specialist. There are also sleep apnea devices such as a sleep apnea pillow or a shirt with a cushion in it that prevent you from rolling on your back at night. Therefore, you sleep more on your side, and you won't be as inclinced to obstruct your throat. Talk to your cardiologist if you'd like more information on sleep apnea. Reply to: Weight Loss and Maintaining a Healthy Body Mass Index " Amanda is a 28-year-old woman in good health "
Toning through exercise is a way better way to go for a person of her height and weight. It's been my experience that finding the right kind of exercise is key. Don't let exercise get boring! Go out and find a class or activity that you enjoy. It really helps you stay on course to your goals. Several years ago Queen Latifah was spokesperson for Weight Watchers and her catch phrase was "a size healthier". I wonder if that messaging has gotten lost in weight loss advertising. Sometimes, like in Amanda's case, it's not about weight loss but about body toning and being more fit. There absolutely is a benefit to being fit, at any weight. You can be a bit heavier and active, and still be fitter than someone who is thin and inactive. I feel the biggest struggle is to combat the stereotyped images of the ideal body weight and teach women in particular about being healthy and fit. It sounds like Amanda wants to change the way her body looks-not necessarily lose weight. An exercise routine consisting of light to medium weights with many repetitions would tone Amanda's body. An exercise routine using heavy weights with fewer repetitions would build and bulk her muscles. @ShirleyG I recently tried an exercise class at a local trampoline park. Not only was it good exercise but it was fun. Keeping the fun in exercise should help with weight loss because it makes you want to keep at it. Using the weights has really helped me with weight loss. I need to start mixing things up a bit, any other suggestions on a weight loss regime ? There is a wonderful book called New Rules of Lifting for Women that is helpful when starting on a weight training program. ShirleyG, you should notice results quite quickly with the weights. They are very rewarding! Walking has really helped to tone my legs. I am going to start using weights a bit for upper body toning. The nicer weather really helps get you out and about. Maintaining body health through activity is easier in the nicer weather, plus it is more natural than being stuck indoors. When I was much younger I went through a very hard time and ended up losing a significant amount of weight. My BMI was under 18 and I was painfully thin. I really noticed some very dire changes to my body because of this weight loss. I had low energy and didn't have the same stamina that I normally had. I began to lose muscle in my legs and I still to this day feel I never really regained that muscle strength. My hair got thinner and less vibrant. Overall, I would not recommend to anyone trying to lose weight that they really don't need to lose if they are at a health BMI already. It really can have a negative impact on your health. Once I hit 40 I had to really reassess the way I was eating. I could no longer eat whatever I wanted and not gain weight. I have been eating a lot more fruit and veggies and low fat meats and proteins. I try and stay away from starchy foods and grains, like bread, muffins and white rice. It really does seem to help control weight particularly around the waist line. The hardest thing to do is to cut down on sugar as it seems to be in everything! Happy to report that over the past few weeks I have noticed my clothes are fitting loser and the inches are down a bit. The best news was stepping on the scale today and being down a few pounds. With the nicer weather being here it is easier to get out and about. My main source of exercise is walking which has really helped. This is so true. We have tried to lead a healthier lifestyle and manage this through diet and exercise. We have not seen much weight loss, however we have more energy and have maintained our weight. As you gain weight, your life expectancy decreases. And there are also other issues, such as effects on fertility; obesity decreases your fertility, and also effects on joints, particularly lower limbs, knees, hips, lower spine. A weight increase causes degenerative changes to be accelerated in individuals who are overweight. In an effort to kick start a healthy lifestyle we have cut down on our portions and started to eat more veggies (half the plate at dinner). What other strategies can be suggested to assist in weight loss / maintenance ? 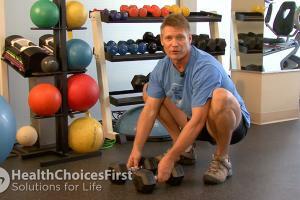 As we are getting older (early 40's), how do we ensure our joints are healthy and maintain our over all strength ? I was told to look in to strength training to keep my joints healthy. If the muscles surrounding the joints are strong and healthy, they protect them. I think that Body Fat percentage should be the benchmark of health. I recently lost 38 lbs, and it put me from a Body fat of 35.6% to 25.8% I am still working on lowering it. While my BMI did get into a healthy range ~ 24.2, I fully believe that my health has improved with a lower body fat. I intend to continue to lower it over the next year or so, so get to my 22% objective. Lifting weights is key for health and to shape a body. Amanda should definitely go with a personal trainer and sculpt her body with weights. Is 22% the ideal or is that your personal ideal? Body Mass Index can be a fairly misleading measurement. It simply looks at whether your weight is a healthy number given your height. It does not take into account muscle mass or body frame or anything like that. So waist circumference is a much better indicator of overall health. It is very interesting how many professional athletes who are in amazing physical shape have unhealthy (too high) BMI's, as they have a high level of muscle mass. It's important to consider the whole picture - activity level, body type, etc - when using the BMI in order to prescribe weight loss/gain. @Healthymama I believe the waist-to-hip ratio (WHR) has fallen out of favour among health professionals, because it doesn't consider the actual amount of fat mass. It could be that someone very lean has the same WHR as someone who carries excess weight, but you wouldn't be able to identify who is at higher risk for health complications using the ratio alone. Measuring and assessing waist and hip circumferences separately provides more information about body composition and overall health risk. @Healthymama - I haven't heard of waist to hip ratio as a good measure - only the waist circumference. But I think you make a good point. A lot of women tend to carry additional weight around the hips, whereas men carry more weight around the waist. That's a good question. I've read a lot about how carrying additional weight around the middle is unhealthy- especially as you enter your 40's. Just waist circumference or waist to hip ratio? Which is better for determining a healthy weight? This woman would definitely benefit from learning more about what makes up her body weight. If she is looking to work on her physique leading up to her wedding, focusing on an exercise program including resistance training exercises could easily change her body composition without just watching the number on the scale. She could lose inches and replace some of her fat with healthy muscle and still keep the exact same BMI. Looking at her waist circumference, she is within the healthy range, however she is toward the upper end of the healthy range so I would support her in her efforts to improve her muscle tone and perhaps lower her waist size slightly through healthy eating and regular exercise. Looking in to an exercise regime is a great suggestion. It would allow her to change the way her body looks without going to an unhealthy weight level. It will also have the long term impact of making her overall a healthier person. I lost a lot of weight as part of a new weight loss routine after I had my son. My BMI went down to 18.5 and I felt terrible. I wasn't eating enough and I felt tired all the time. I gained some weight back to a body mass index of 20 now and I feel much better. I also lost weight while nursing but I think I did it in a safe way. It would be great if health care professionals caring for postpartum women could emphasize healthy weight loss strategies for nursing moms. I think its really important to keep the weight training consistent as you get older to help your joints and your over all strength. Nursing can burn a lot of calories. I think I lost weight too quickly dieting while nursing. I was also nursing at that time. I followed a low glycemic index approach along with cardio exercise. I did not work with a trainer. I think what caused me to lose too much is when I overly restricted my calories. I had very little protein and dairy, that really caused me fatique. What kind of routine were you following @Yuan? Was it just restricting calories? Why would a lower body weight mean she is at risk for nutritional deficiencies? If she eats healthy well rounded diet and/or takes supplements but eats lower ok the calories scale is she still at risk for this? I agree with Marla - it would be likely that she isn't eating enough to reach her Recommended Daily Allowance (guidelines for target intake) for various nutrients, meaning she is still at risk for deficiencies. With calorie consumption low enough to reach a BMI of 18.5 it's likely that Amanda wouldn't be eating sufficient calories either. Taking supplements may offset some risk of vitamin/mineral deficiency, but is not as ideal as getting nutrients through whole foods. Good question. I'm not sure, but wouldn't it simply be that the quantity of nutrients she is ingesting are not meeting the demands of her body? The quality may be excellent, but if there are not enough she could become deficient.